We truly have THE BEST friends and donors! We put out a call for a FILL THE TRUCK yesterday afternoon for those devastated by the horrific tornadoes that hit the DFW area. And we were AMAZED at the results we received. We literally only gave a couple hours notice . . . and the response was AMAZING! Our lobby is full! We are collecting, sorting and packing in anticipation of finding out where the greatest need will be this week. 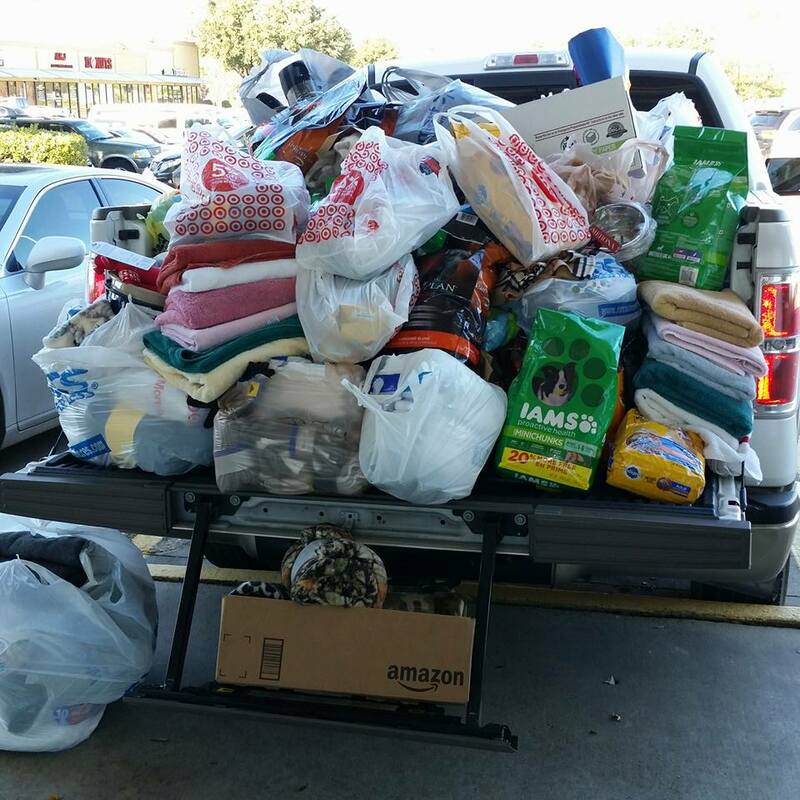 The Rowlett Animal Shelter and the vet clinics in the area were fully stocked as of yesterday, so we are holding on to our donations. As soon as we can arrange for delivery to those in need . 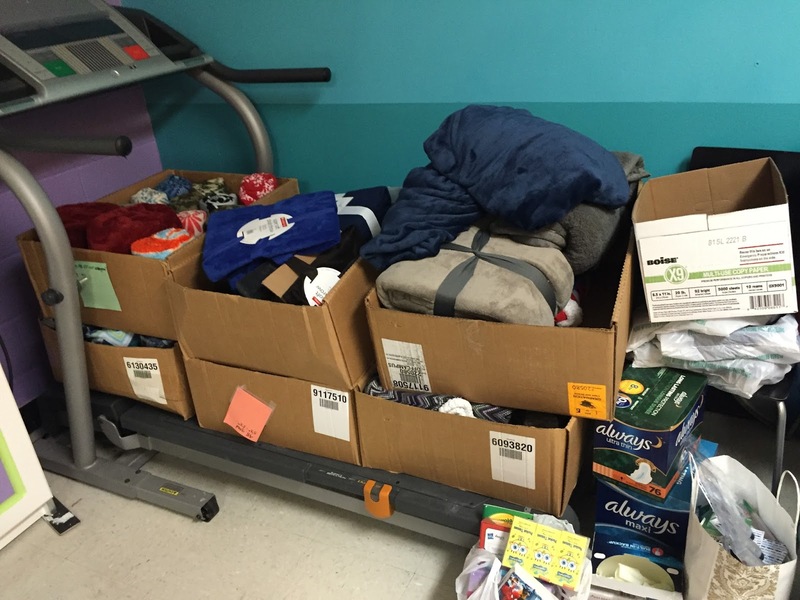 . . our volunteers will move the donations out! 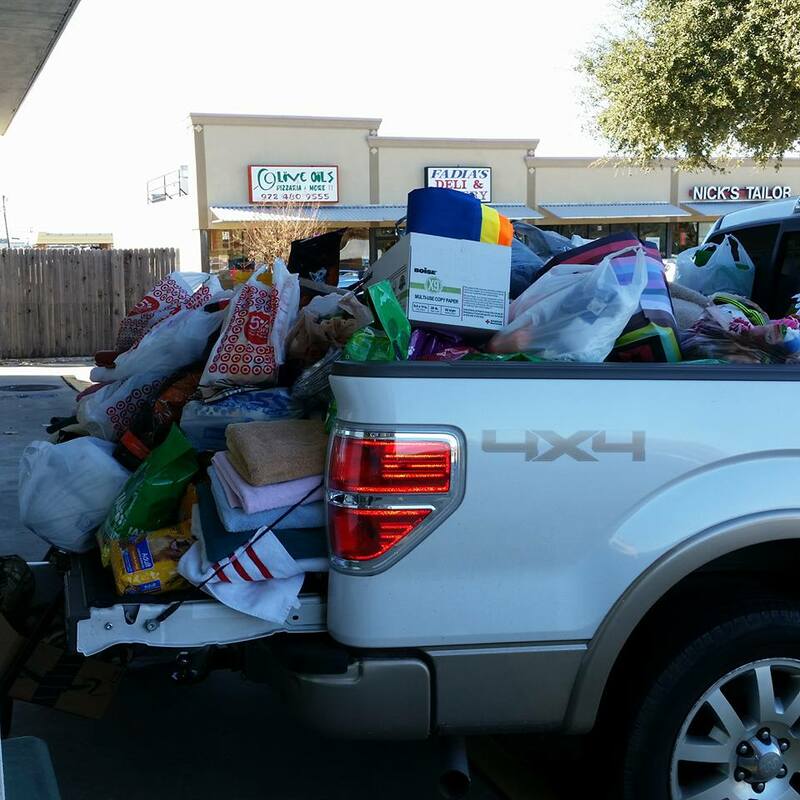 What truly makes this effort so heart felt, we just completed a FILL THE TRUCK event, the Saturday before Christmas. 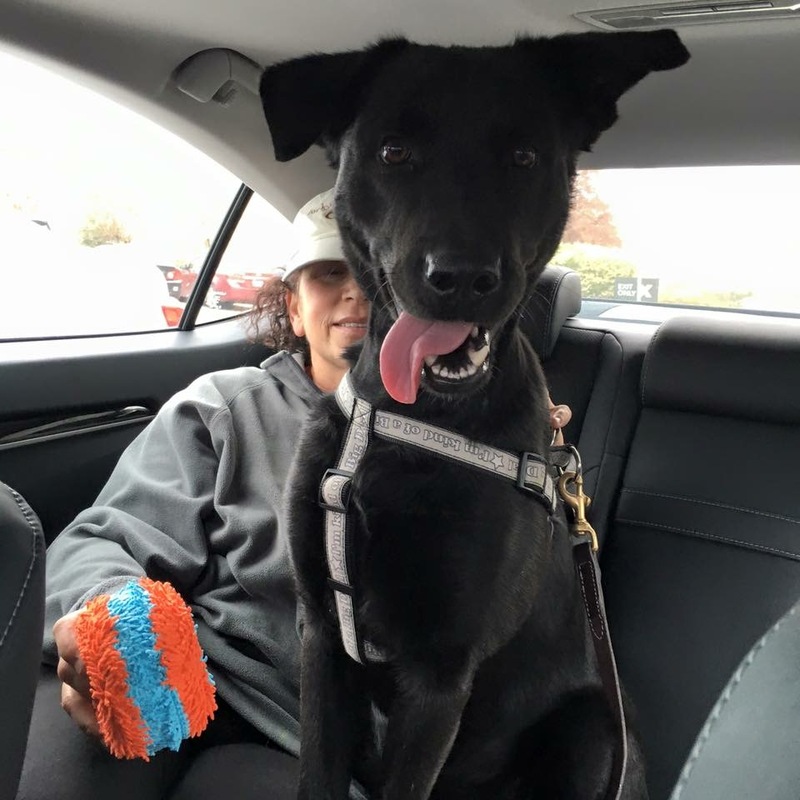 Our goal was to help those in Dallas who are homeless; however, refuse to move into a homeless shelter because they would be required to give up their family pet. These dedicated pet owners feel their dog is truly a part of their family. This particular group of people live in a tent city and brave the elements, which is particularly hard in a cold winter. 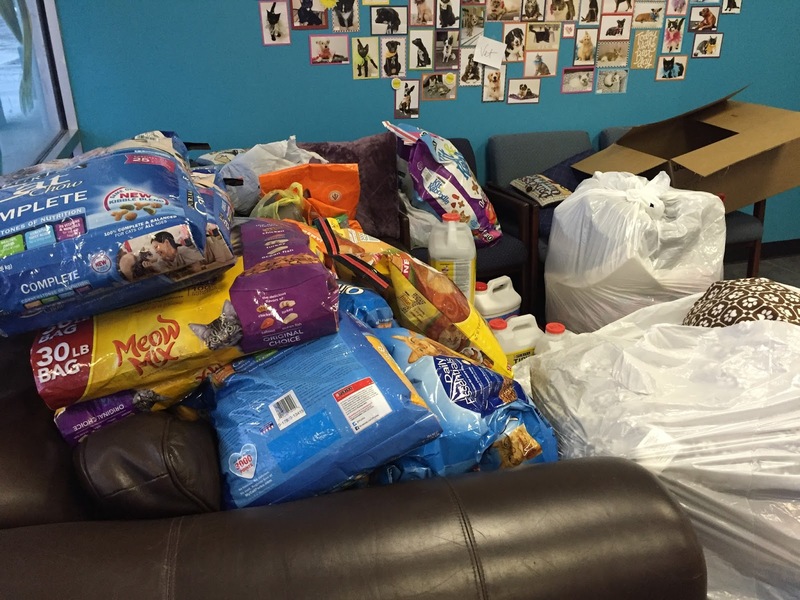 We gathered donations for their pets, (ex. 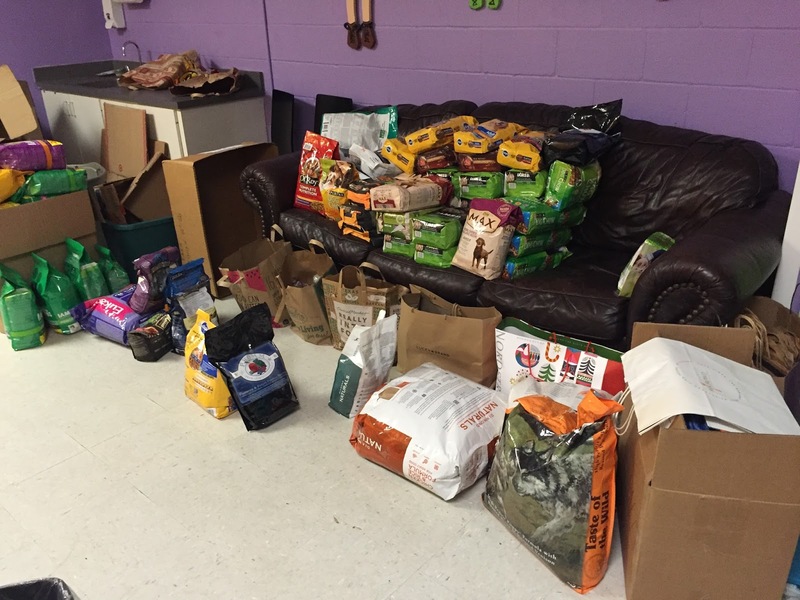 dog food, plastic bowls, leashes & toys) and donations to help keep them warm (ex. gloves, hats, socks & blankets). The outpouring of love was amazing! 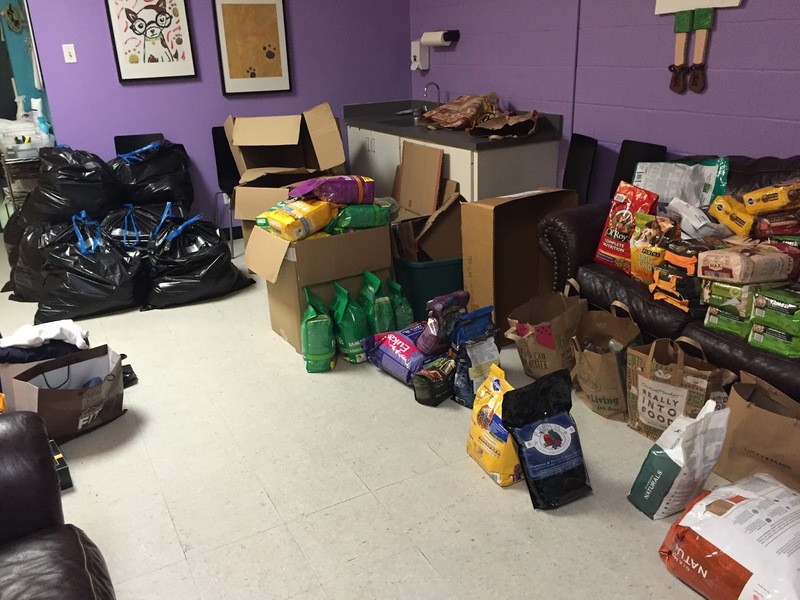 We have had some wonderful volunteers who have worked many hours to sort and organize all of the donations. 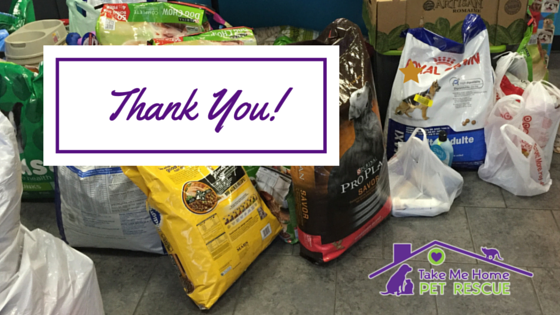 These donations are now filling up our Meet & Greet Room, ready for delivery. collars and toys for those less fortunate, but who love their dogs. We had planned to deliver all of the donations yesterday; however, with the rainy weather the delivery trip has been delayed until this coming weekend. 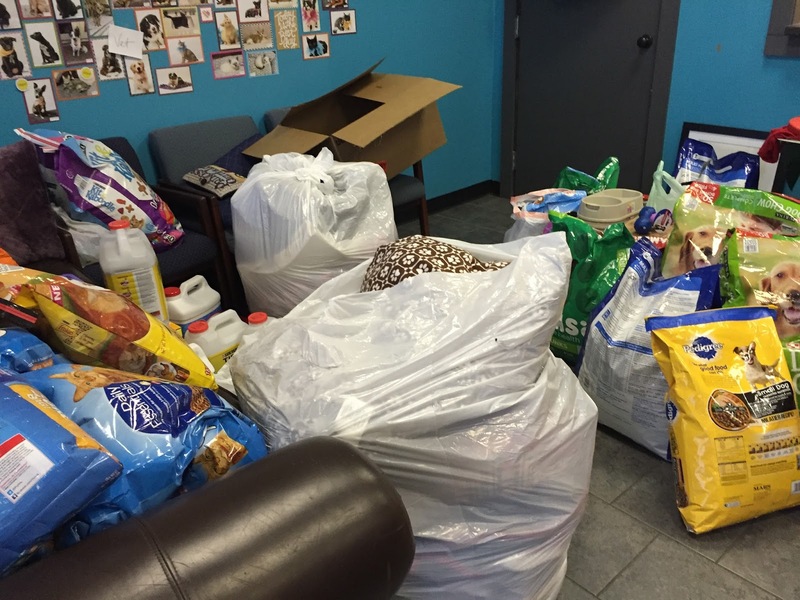 The donations just kept coming in. Dog food and more dog food for the family pets. So many blankets, hats and socks to keep the people warm. Our ladies even brought feminine products, as they are so very needed and very expensive. We truly have the most amazing volunteers, adopters, fosters, donors and friends! We could not do any of this without the FABULOUS team that we have. 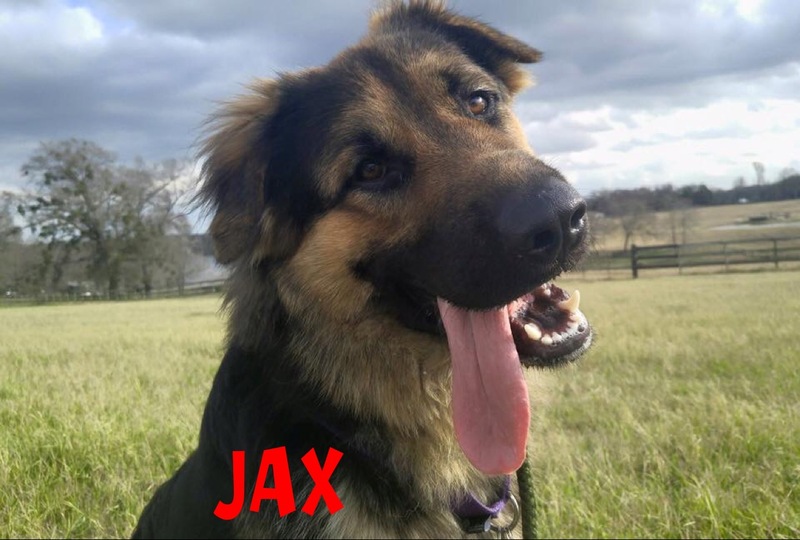 Jax sends his love and thanks to all of the donors and volunteers! 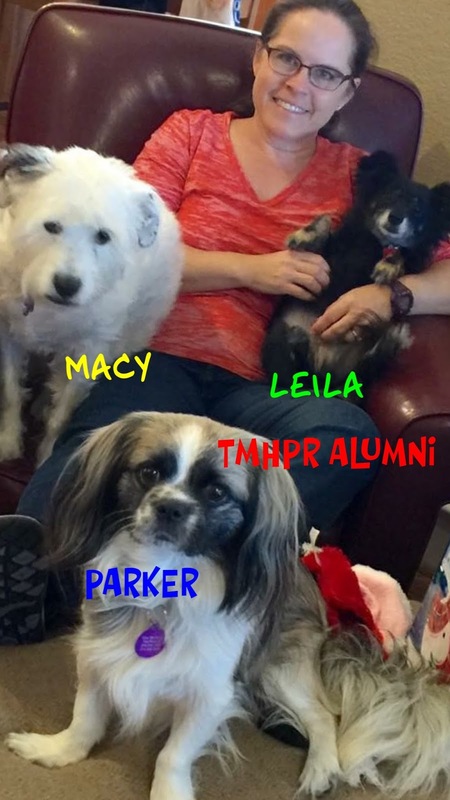 What a group of TMHPR Alumni are saying THANK YOU!! 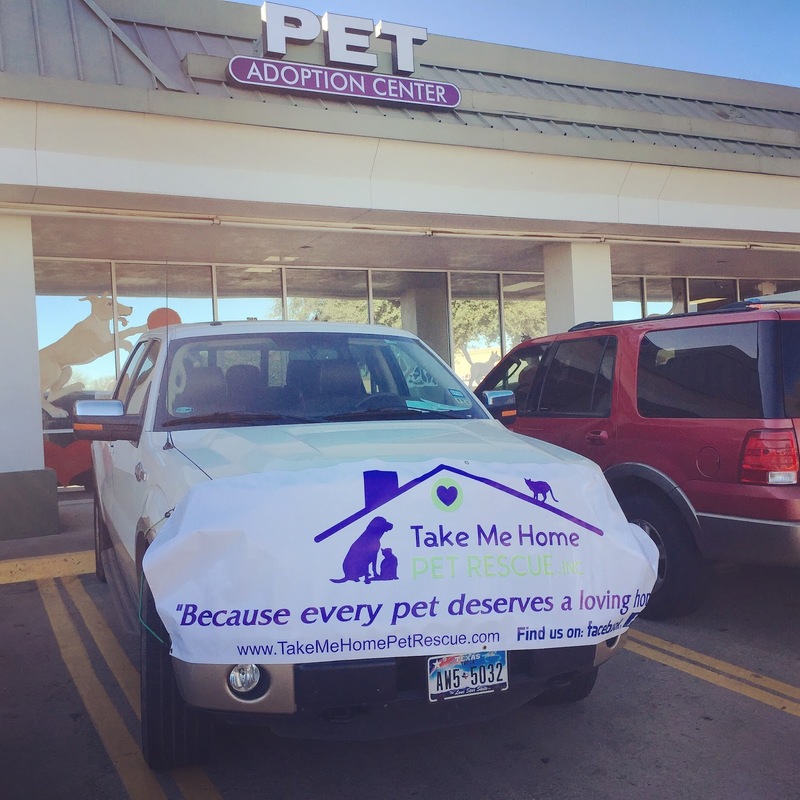 For more information about Take Me Home Pet Rescue, please check out these links on our social media outlets!